...e soprattutto divertirsi un sacco! Docebo (from the Latin “I will teach” and pronounced “Docēbō”) is a pure Cloud Learning Management System (LMS) that over 28,000 organizations have used globally since 2005. Sold in over 70 countries worldwide and available in over 30 languages, Docebo truly exemplifies internationalization. Docebo has been ranked in the world’s Top 10 for SaaS elearning solutions providers, and in the Top 3 for B2B LMSs. Docebo is generally regarded as one of the industry’s most comprehensive solutions for training management, and has been chosen by some of the world’s most respected companies to achieve operational efficiency. Backed by venture capital, Docebo has offices in Europe, Asia, Canada and North America, and is currently one of the fastest growing learning technology companies in the market. The way the human brain absorbs new information today is different from the way we learned ten years ago. Our people understand that for our clients to win the competitive edge, it's critical to provide online learners with the best learning technology available. That's why we hire the brightest minds in the SaaS space - to build products that power learning to its fullest potential - and in return, our people reap the benefits of our own innovations (and have a blast doing it). If we had to rename this role using a non-industry standard term we would call it “Customer-First Champion”. Our ideal Customer Success Specialist makes our customers fall in love with our company and product, and never want to leave. This role allows you to become a champion at proactively helping, enabling, empathizing with, and advocating customers. Docebo transforms its customers’ training experience, empowering everyone - from employees to partners to clients - to learn by combining Formal and Informal (or social) learning. Culture is incredibly important to Docebo, a company where every team member is family and everyone contributes to the success and happiness of the entire team. From catered meals for our “Lunch and Learns,” group outings, and Friday Happy Hours, Docebo encourages the team to not only work well together but also have fun together. If you are looking for a place where you can build something greater than yourself alongside some of the most talented and dynamic people you’ve ever worked with, Docebo might just be the place for you. Be the primary contact and advocate for SMB-based customers. Become an expert in Learning Management System adoption, including its challenges and processes. You will be a friendly professional advisor and know when to suggest best practices, how to defuse tensions, and always address issues as your ultimate goal. Maintain a revenue base by managing account retention and renewal rates. Generate upsell opportunities from new product feature adoption and through upgrades. Advocate extended usage, by explaining the value of new modules and services to existing customers. Work as part of the team to develop strategies for scale, growth and increased quality of service. Prior experience in an account management or sales-related role, preferably in a startup or fast growth SaaS organization. Experience in helpdesk or similar past roles are a plus. Experience working with B2B accounts. A track record of consistently meeting, and exceeding, revenue goals in previous roles. Clear and articulate communication skills, you know how to empathize via phone and in person. Natural organizational skills allow you to handle pressure and volume with a positive attitude. Knowledge of the HR technologies market is a plus. Docebo is looking for a strategic leader to lead Docebo Customer Enablement function for our external partners and customers. Your scope will include developing and managing live and online training. As Head of Docebo Academy, you will lead the development and delivery of product training to our strategic partners and corporate customers in a variety of different formats in order to improve the customers' experience on Docebo LMS platform. You should be driven by a desire to understand learners and continually improve the customer experience. Since training is essential for enabling our customers and partners to understand the Docebo solution, you must have experience designing and delivering engaging training programs. Also, you will have a passion for continuous learning in order to bring best practices in learning to our customers and partners. With a talented team in place, you will serve as a mentor and instructional design expert on the team. You should also be comfortable both leading and getting hands-on with the content and delivery of materials. Lead and develop the Docebo Academy Strategy in order to increase customer loyalty and impact our customer relationships. Conduct needs analysis with Implementation, Customer Success, Product, and other business stakeholders to define and build impactful training solutions for our customers and partners. Manage the design, delivery, and continuous improvement of Docebo training programs as well as ongoing learning opportunities to facilitate external learners in acquiring knowledge, skills, and competencies in an effective and appealing manner. Manage a portfolio of online training, webinars, workshops, individual in-person training sessions, etc. to our strategic customers and partners. Connect with customers and partners and use the training as an opportunity to obtain customer feedback about their learning experience and Docebo products. Mentor and coach the team on instructional design, facilitation, and learning technologies. Be an influential thought partner in the development of the long-term vision and strategic direction of customer training. Our ideal Inbound Sales Representative is a fantastic listener, critical thinker, team player, and very driven. 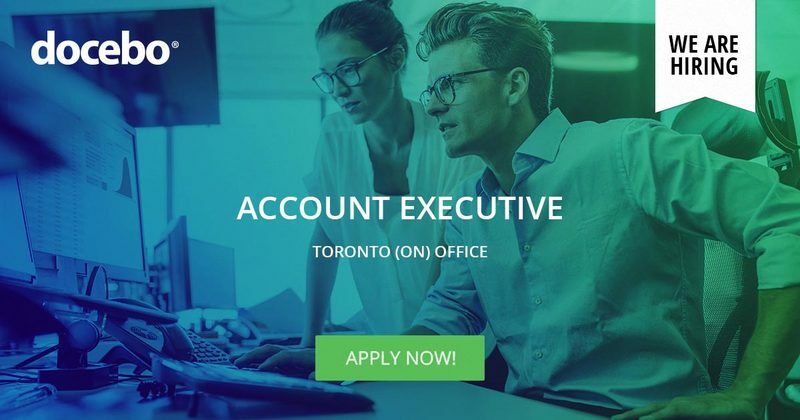 This role is responsible for generating opportunities for Account Executives from leads generated by the Docebo Marketing team. Reps must be able to quickly and efficiently sort through a large volume of companies that have contacted Docebo directly, started trials, or downloaded papers and determine which companies fit the Docebo Ideal Customer Profile and reach out to schedule meetings with AE’s. 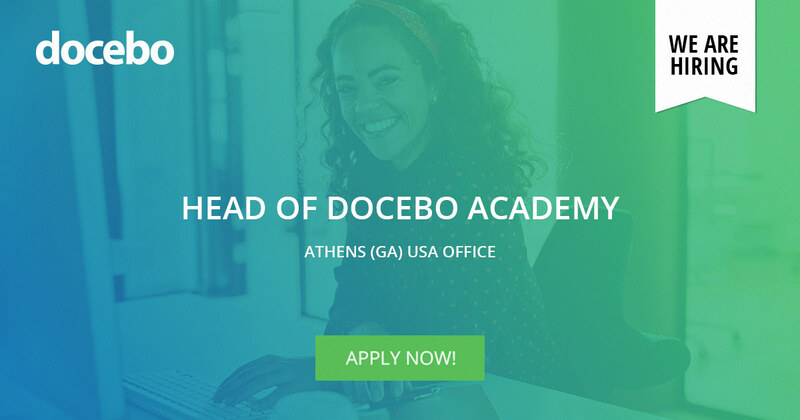 Docebo is one of the World's fastest growing SaaS companies in the Learning Technology space, with its main North American hub in Athens, GA. Although Docebo calls Athens home stateside, it has an international presence with offices in Milan, Toronto, London, and Dubai. International perspective lends itself to celebrating a diverse workforce with talent from all over the globe, creating a workplace and opportunities unlike any other. Docebo transforms customers’ training experience, empowering everyone from employees to partners to clients by combining formal and informal (or social) learning. Culture is incredibly important to Docebo, a company where every team member is family and everyone contributes to the success and happiness of the entire team. From catered meals for our “Lunch and Learns” to our group outings, Docebo encourages the team to not only work well together but also have fun together. Docebo focuses on developing the individual both professionally by establishing career progression paths and making sure their personal needs are met with full benefits, company-sponsored events, and a strong focus on improving the company culture. Identify and qualify prospects via skype, phone, GoToMeeting and update the internal company CRM. Be able to deliver outstanding presentations and demos of the Docebo products and services over the phone or alternative tools, such as Skype or GoToMeeting as needed. Generate new accounts and close sales opportunities using your presentation and negotiation skills. Continuously build your pipeline of business opportunities, providing weekly updates. Maintain such pipeline of qualified prospects sufficient to meet monthly objectives. The ability to work in a fast paced environment and ability to multitask. A desire to learn new concepts and work on new projects. An ability to perform advanced internet research. The ability to work and travel with no restrictions within and outside the United States. Familiarity with CRMs and similar tools is a plus. Previous work experience in a software or tech start-up (a plus). A passion for giving value to customers based on your knowledge and experience around our platform. A strong motivation for learning a new product with ambitions of eventually performing demos for prospective clients. Our ideal Sales Development Representative is a sales 3.0 person, who leverages today’s technologies and applies fresh, modern sales development approaches to generating new appointments, new demos, new contracts. You are passionate about smashing your goals and work to continuously improve your craft. Regularly ranked among the world’s top 10 SaaS e-learning platforms, Docebo is regarded as one of the industry’s most comprehensive solutions for training management and has been chosen by some of the world’s most respected companies to achieve operational efficiency. Culture is incredibly important to Docebo, a company where every team member is family and everyone contributes to the success and happiness of the entire team. From catered meals for our “Lunch and Learns” to our group outings, Docebo encourages the team to not only work well together but also have fun together. We pride ourselves on offering our employees with very competitive compensation, great benefits, the opportunity to work closely with team members around the globe, and the chance to be a part of a team who is obsessed with constantly innovating to provide an amazing experience for our users. Master the art of sending personal, strategic, value-add emails and social messages (no copying and pasting). Be able to identify and leverage compelling new business entryways for very targeted outreach (events, conferences, awards, publishing). Quickly research and strategize an approach to create interest and engage. Profile potential prospects via predetermined criteria. Secure and schedule meetings and demos adopting all tools available to you. Generate new business opportunities to fuel the Docebo Enterprise Pipeline. Record all activities in our CRM. Work closely with Account Executives to move prospects through pipeline and closing. Achieve or exceed monthly quotas of demos, meetings and qualified opportunities generated. Learn and maintain in-depth knowledge of Docebo products, industry trends and competition. Four-year college degree (preferably in Marketing, Business, or Communications). Clear writer and a creative thinker - the more you love to read and write the better. Great self-awareness of speaking in a polished manner. 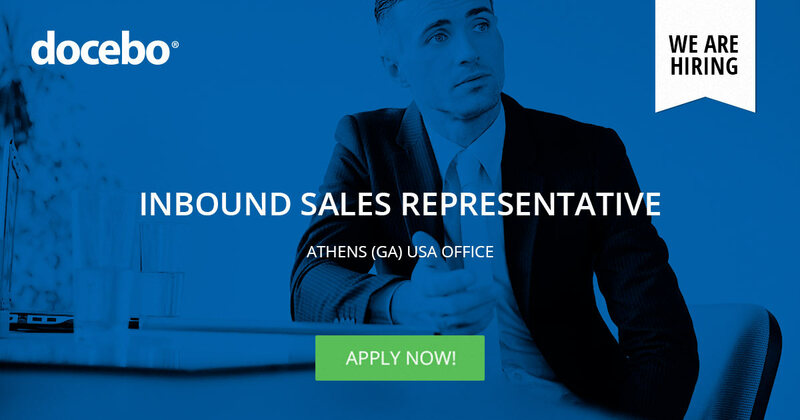 Verifiable track record of success and goal attainment in a sales-oriented role. Deep knowledge of Social Networks (especially LinkedIn, Facebook and Twitter). Ability to engage and empathize over the phone. Run through a brick wall level of drive, passion, and desire for results. In this role, you will be working with large enterprise accounts. You will allocate internal resources to many different tasks, maintain the organization of the projects, and ensure the fulfillment of timely delivery with quality. 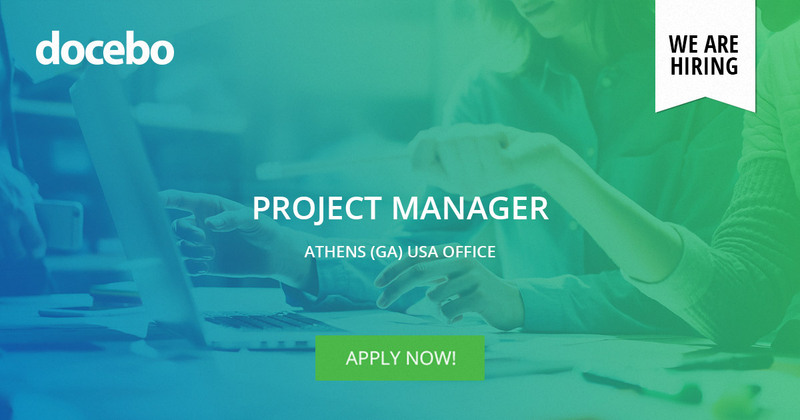 Our Project Manager will work within teams dedicated to the same client, including but not limited to, professional services, customer success managers and software developers. Our ideal candidate will be comfortable with working in an environment that moves at the speed of light. You must have a strong work ethic and a high level of curiosity on top of being a fast learner and excited to learn new technology on an ongoing basis. Having great communication skills (presentation, verbal and written) is a must! This position does require some travel internationally so you will have the opportunity to visit Toronto and Milan (among other places). Own the project level relationship between Docebo and key customers and/or partners. Identify key stakeholders and define project escalation paths. Define project scope, goals, and deliverables according to customer and/or partner agreements. Work with key stakeholders to develop & maintain a detailed project plan encompassing all project disciplines (integration, deployment, sales, support, and customer success). Monitor and report on the progress of the project to key stakeholders both internally and externally by defining a communication plan for each project. Present reports defining project progress, risks, issues, solutions, and KPIs. Work closely with the Product and Development teams to monitor and report on development progress for work related to assigned projects. Monitor project resource levels and escalate resource needs when required. Communicate blocking issues to internal and external audiences in a timely manner. Organize partner enablement activities across Sales, Customer Success, Professional Services, and Support departments. Lead both internal and customer project meetings. The role sits on the Global Customer Success team and is responsible for managing the Onboarding Phase for multiple Enterprise customers. Solution Deployment Manager leverage skills in Project Management and Business Analysis, to ensure that Enterprise customers are quickly and successfully onboarded to the Docebo platform. 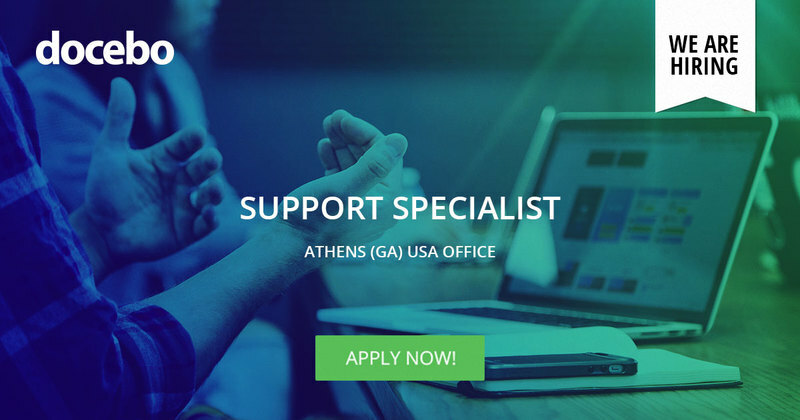 You will work closely with Help Desk Specialists and Customer Success Managers to ensure Docebo customers receive amazing support in every phase of their journey with Docebo. Docebo is a high-energy work environment so you need to be able to keep up with the fast pace and the demanding work, and have no problem with multi-tasking. Work with customers to identify and document Success Criteria that will be tracked over the duration of the Onboarding. Document Onboarding project activities to ensure alignment and continuity across the Customer Success departments. A strong desire to become a Docebo product expert. A natural inclination to resolve customer problems and help them be highly successful. Experience working with support, QA, and product teams to resolve customer issues. General knowledge of programming languages and specific experience with REST Webservices. 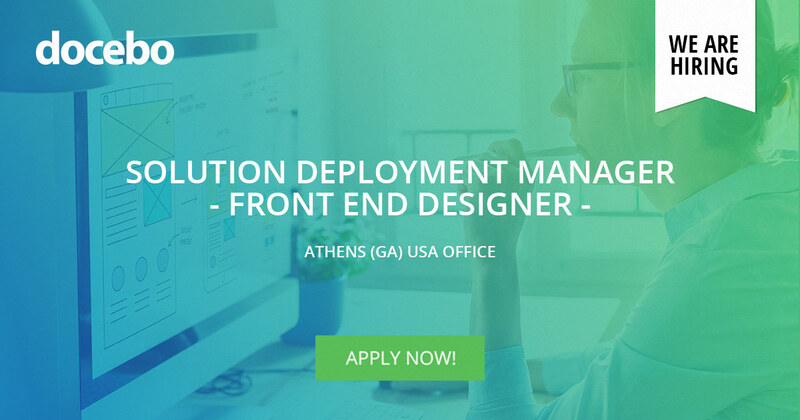 The Solution Deployment Manager - Front End Designer will be responsible for providing front end development services to the Docebo client-base in addition to managing the onboarding of new Enterprise customers onto the Docebo platform. In this role, you will attend conference calls and prepare customers for going live. While leveraging project management and business analysis skills, this person will work closely with Solution Deployment Managers, Help Desk Specialists, and Customer Success Managers to ensure Docebo customers receive maximum support in every phase of their journey with Docebo. 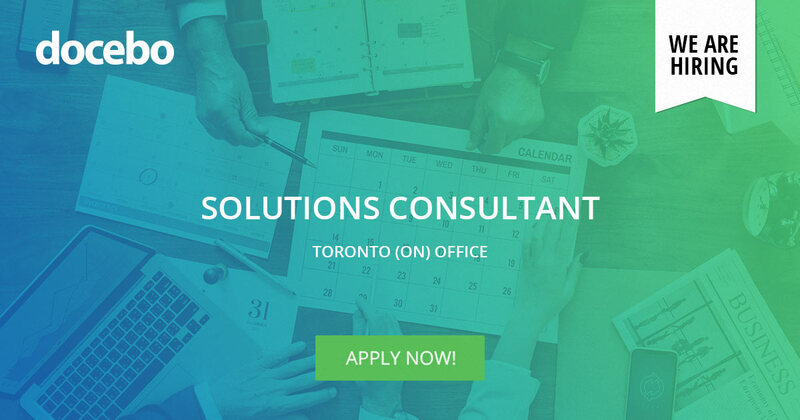 Our ideal candidate will have a good understanding of consulting processes and software implementation and a natural inclination to resolve customer problems and help them be highly successful. Partner with customers from different industries and countries, managing multiple projects concurrently. Develop/monitor overall implementation schedule (including all functional, customization and integration/technical projects) to meet client objectives. Use HTML5 & CSS3 alongside a consultative approach to design Docebo website pages for Docebo clients as a professional service. Regularly ranked among the world’s top 10 SaaS elearning platforms, Docebo is regarded as one of the industry’s most comprehensive solutions for training management, and has been chosen by some of the world’s most respected companies to achieve operational efficiency. Culture is incredibly important to Docebo, a company where every team member is family and everyone contributes to the success and happiness of the entire team. From catered meals for our “Lunch and Learns” to our group outings, Docebo encourages the team to not only work well together, but also have fun together. We pride ourselves on offering our employees with very competitive compensation, great benefits, the opportunity to work closely with team members around the globe, and the chance to be a part of a team who is obsessed with constantly innovating to provide an amazing experience for our users. If you are looking for a place where you can build something greater than yourself alongside some of the most talented and dynamic people you’ve ever worked with, Docebo might just be the place for you. Plus, there is the potential for international travel to our offices in Toronto, Canada and Milan, Italy! Our ideal candidate is a master at blending the technical with the functional, by presenting to prospects all aspects of our product. 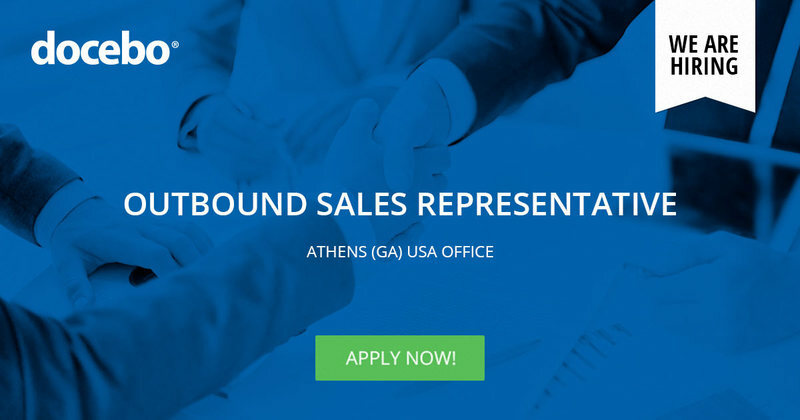 You will work with our sales team to gather requirements and solve complex problems. Combining technical and industry knowledge will be essential to understanding the root of every question and providing solutions. 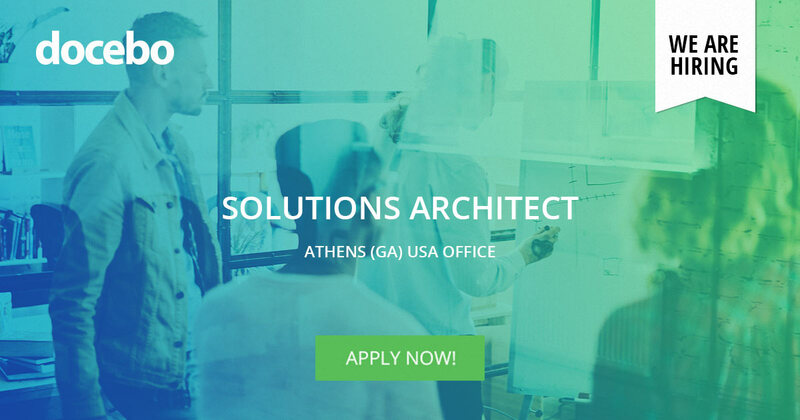 Roll-up your sleeves, and become a trusted advisor to all levels within the prospective customer organization from CEOs, to Developers, to Learning and Development Directors. Be extremely flexible in tackling an extremely technical conversation with highly technical stakeholders, and reduce complexity to a minimum with less-technical stakeholders. Tag team with the Sales Team, and operate with outstanding synchronization to achieve closing business and serving our prospects with quality. Understand, master, and become a pro at describing our architecture to prospects and address promptly every question they may have surrounding our technology. Learn our product like nobody else knows it in the company, and be able to support our Product team with great insights and feedback. Experience in the SaaS industry will be considered an advantage. ; portfolio and track of project where REST APIs and other modern web frameworks were used heavily. 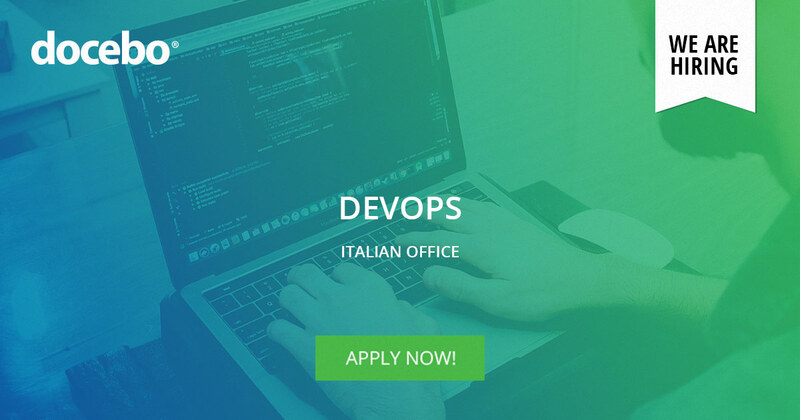 This position is about supporting our customers on a first level help desk and making sure their problems regarding the daily usage of the SaaS Docebo software is properly and promptly taken care of while transferring key product knowledge to them. Possess a high level of empathy in addressing customer concerns. View each and every customer issue as your own issue and take responsibility for owning full resolution. Work with a talented and multicultural team. Experience with E-Learning authoring tools. Knowledge of IT networking basics. Flexibility to travel if required. The Technical Deployment Manager is a hybrid role within our Professional Services Team and will provide technical expertise across projects managed by other members of our Professional Services Team while also directly managing a small number of customer onboardings. You will be responsible for providing technical consulting services to the Docebo client-base, including configuration and troubleshooting of Docebo add-on modules, API usage and workflow guidance, and technical assistance for Single Sign-on applications. 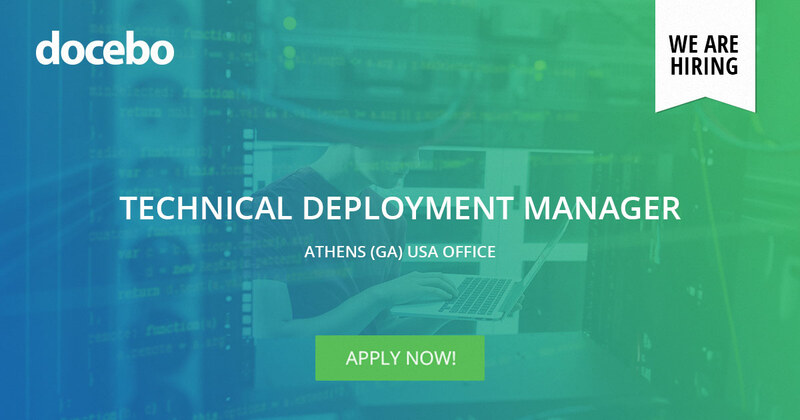 In this role, you will work with customers remotely to understand customer needs, prepare documentation, and provide guidance on technical work flows involving the Docebo Platform. An individual in this role will work closely with Sales Engineering, Professional Services, and Customer Success Teams. Our ideal candidate will have a good understanding of consulting processes and software implementation and a natural inclination to resolve customer problems and help them be highly successful. Docebo is a dynamic business so we require a fast learner, excited and willing to learn new technology, who possesses a high level of curiosity and comfort with ambiguity. Scope API needs and define workflows utilizing Docebo’s APIs in order to enable Docebo customers to scope and initiate development efforts. Document project activities to ensure alignment and continuity across the Customer Success, Sales Engineering, and Professional Services departments. Lend assistance in the configuration and troubleshooting of Docebo integrations and product Add-ons (including Salesforce, Single Sign-on, Web Conferencing tools, etc). Produce or improve technical documentation to ensure alignment of Docebo personal and Docebo clients. Partner with customers from various countries, managing multiple projects concurrently. Minimum of 3 years of experience in a technical role: Sales Engineer, Technical Trainer, Implementation, Support, etc. Don’t see your dream job listed here? Submit your resume anyway! Impress us with a great application! At Docebo, we’re always looking for bright individuals to contribute to our culture of innovation and the work-hard, play-hard attitude that keeps us at the top of our game. We’ve got a variety of openings at each of our international offices, but we understand that, sometimes, a person’s talent can’t be summed up in a job description. Often, there’s more than what meets the eye. If you feel like you don’t “fit” into one of our open positions, don’t worry! We still want to hear from you. Send us your resume and show us how you stand out from the pack. Our team carefully reviews each candidate to make sure successful candidates get the best placement for their unique skill set. Docebo is a fast growing SaaS company headquartered in Biassono between Como lake and beautiful Milano. Backed by venture capital, Docebo has offices in Europe, Asia and North America, and is currently one of the fastest growing learning technology companies in the market. International perspective lends itself to celebrating a diverse workforce with talent from all over the globe creating a workplace unlike any other. We encourage individuals to find a work-life balance, with a work hard, play harder mentality, as we believe that recharged employees provide the best experience for our customers. Finally, Docebo team members are family, and unlike many modern companies that only focus on output, Docebo fosters professional development by providing clear progression opportunities, and by making sure their personal needs are met with full benefits, company-sponsored events and in-office happy hours. Docebo is a truly global organization with a diverse, collaborative working environment. Our “work hard, play hard” mentality helps our teams in the US, Italy, Canada, and the UAE build the best online learning products on the market. We have fun (naturally), but more importantly, we take great pride in our products and strive for an unparalleled experience for both our clients and our people. We value the relationships we've strived to build for more than a decade. By joining Docebo, you will access amazing training programs to support your career growth and your thirst for knowledge! Being on the Docebo team means you’re working in a modern working atmosphere with plenty of space for relaxation and a number of amenities like table tennis, foosball, free coffee and snacks, and a fully furnished office deck overlooking the mountains (perfect for bbq in the summer!). The ideal candidate will join the Accounting team at Docebo and she/he will support to the Head of Accounting for tracking and performing the Accounts Payable monthly activities, manages vendor relationships, fixed asset functions, assist with cash management, audit. In particular, the account payables accountant will provide financial, clerical and data analysis to ensure efficiency and accuracy in payables and billing, while meeting tight deadlines for Docebo statutory accounts and audits. Assist any other areas of Financial Accounting Department as necessary. As a Backend developer, the candidate will be highly dedicated to evolving the Docebo LMS Product. Develop the main Docebo LMS products in a service-oriented environment, using PHP7 and NodeJs + MySQL as the main code base. 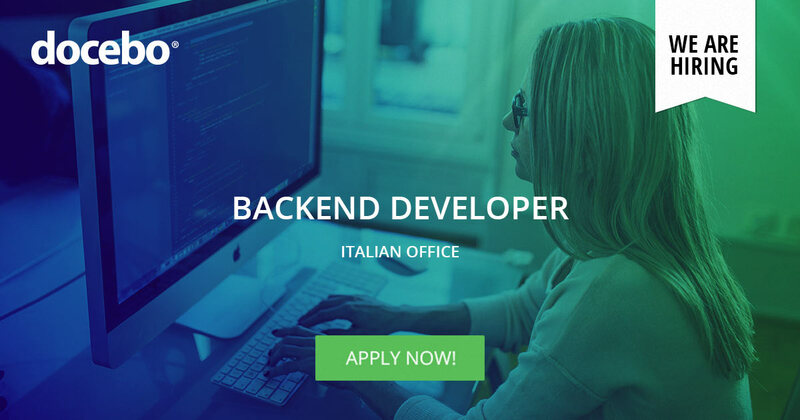 Work in an Agile, Scrum international team with other backend and frontend development. Ability to properly document your code in English and make it reusable to others teams. Previous as a programmer analyst. This role is responsible for producing high quality code following an Agile methodology. Working in an Agile, Scrum international team you will be expected to contribute to top quality Docebo LMS Product under tight deadlines. 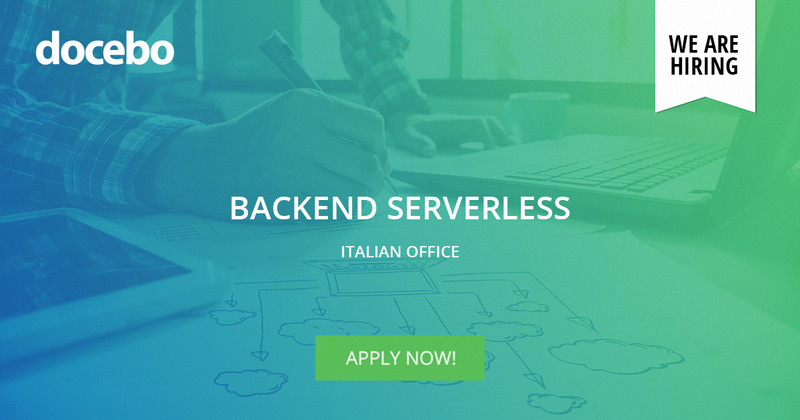 As a Backend Developer (Serverless) you will be resolving any critical issues, develop projects using your front and back end knowledge with the emphasis on the back end. Work closely with the product owners to define feature specifications, and collaboratively refine a technical solution. Working understanding of Git or similar version control system. Reliable, tolerant, and determined team player. The Docebo BI team is looking for an exceptional Data Engineer who is passionate about data and the insights that large amounts of data can provide, who thinks/acts globally, and who has the ability to contribute to major novel innovations in the industry. The role will focus on working with a team of data engineers, business and tech savvy professionals to ingest large amounts of structured and unstructured datasets and work with stakeholders to drive business decisions based on these datasets. The ideal candidate will possess a data engineering background that enables him/her to think strategically and add value to the customer experience. He/She will experience a wide range of problem solving situations, requiring extensive use of data collection and analysis techniques. Develop and improve the current data architecture using AWS Redshift, AWS S3, AWS Glue and Hadoop/EMR. Improve upon the data models, ETL jobs, and alarming to maintain data integrity and data availability. Stay up-to-date with advances in data persistence and big data. 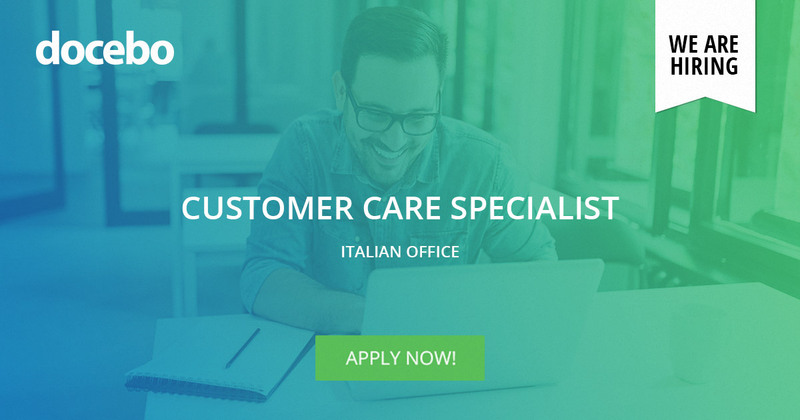 As a Customer Care Specialist, you will support our customers on a first level help desk and making sure their problems regarding the daily usage of the SaaS Docebo software are properly and promptly taken care of. A natural inclination towards problem solving. As a DevOps, you’ll work collaboratively with software engineering and site reliability engineering to deploy and operate our systems. Help automate and streamline our operations and processes. Build and maintain tools for deployment, monitoring and operations. And troubleshoot and resolve issues in our dev, test and production environments. Report to: Cloud Performance and Architecture Manager. Evangelise and spread your DevOps mentality among your colleagues. Branch, write, test, and deploy code for configuring and managed production services. Previous experience in a SaaS company. Our ideal candidate loves working with people to help them understand and learn about our product and will also work closely with our sales team on complex deals. You will work with our prospects to discover, prepare and lead presentations. You will be leveraging industry knowledge to serve as an expert throughout the sales process. Be extremely flexible in tackling an extremely technical conversation with highly technical stakeholders, and reduce complexity to more common terms with less technical stakeholders. Tag team with the Sales Team, and operate with outstanding synchronization to achieve closing business and serving our prospects with quality service and knowledge. Be a creative, upbeat, and positive player at all times while guiding the prospects assessments of our products at various technical levels. Be a responsive and creative member of cross-functional teams (sales, marketing, customer success) and provide value internally to your sales team as well as to your assigned prospects. Understand, master, and become a pro at describing our product to prospects, and addressing promptly every question they may have surrounding our technology. Prepare and deliver technical presentations explaining products or services to prospective customers. Plan and configure products to meet presentation needs. Confer with prospective customers and engineers to assess implementation needs and to determine requirements. As a Frontend Developer, the candidate will be highly dedicated to evolve the Docebo LMS Product. Develop the main Docebo LMS products in a service-oriented environment, Angular 7, HTML5, SASS as a main code base using REST APIs to retrieve data from the backend. Follow project development and manage practical activities and tasks related to the project's implementation. 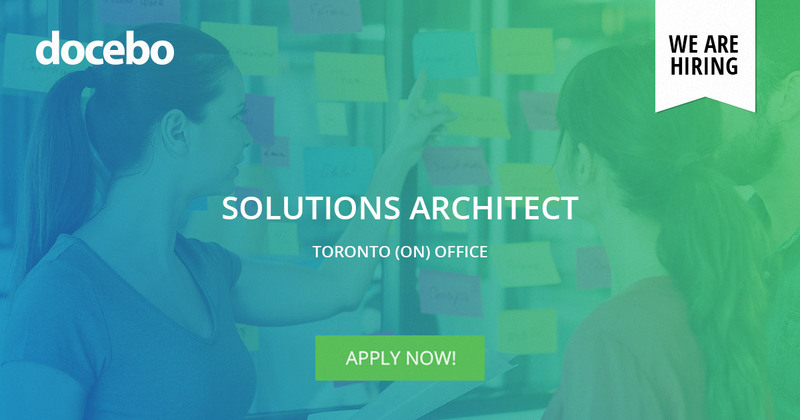 Be a part of an Agile, Scrum international team with other backend and frontend development. Demonstrated strong knowledge of HTML5, SASS, Angular 2+ (or equivalent frontend framework), Redux. A portfolio attached to the curricula, codeplex, github link or a website link. 2 years experience in a similar development position. Ability to solve issues with clear methods while knowing when to take intuitive leaps. Ability to guide technical discussions with both technical and non-technical audiences. Interest in new technologies: Docker, AWS, Enterprise Level Application, Services, and more. Strong attention to detail and astute diagnostic skills. Ability to look at your development within a product use case and measure quality upon it. Experience in a Cloud or SaaS development environment. 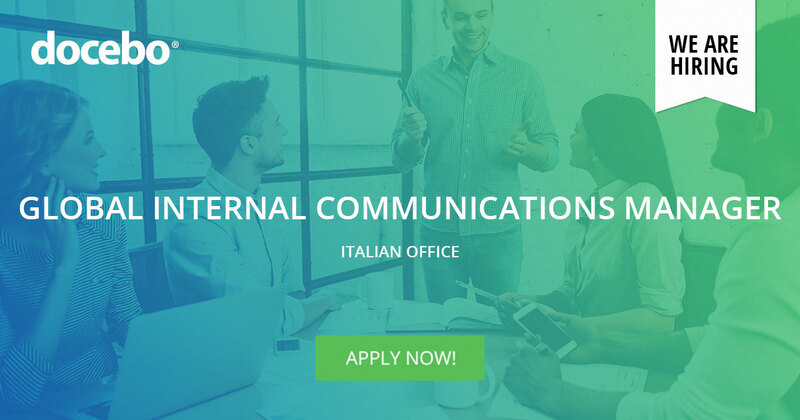 The Global Internal Communications position is new to Docebo, so the individual responsible will need to influence, demonstrate and teach the value of internal communications with the entire organization globally. This position is responsible for managing and executing a complex communications workstream to create an outstanding level of communication between all the Docebo employees, offices, and different functions. The position also focuses on helping employees understand the company strategy, foster a winning culture, and reinforce the company’s values. You will also create different types of content in addition to leading and planning a strong internal communication plan in partnership with the senior leadership team. In partnership with the senior leadership, develop and implement company-wide internal communication strategies and plans that engage, align, and inspire employees with the company’s vision and business strategy while also increasing employees' understanding of the business’ priorities, company culture and key initiatives. Design powerful processes to ensure greater consistency and alignment of employee communication activities happening across the company. Build, manage, and ensure the usage of company-approved employee communications templates, policies, tools, procedures, and guides. Craft messages and write communications that are detailed, accurate and concise, and tailored to the author, vehicle, and audience. Align all the offices in terms of expectations and rituals connected with the communication processes. Conduct external research and implement best practices to drive continuous improvement of company-wide employee communication programs, processes, and channels. Create KPIs, metrics, and reporting processes to ensure employee communication is delivering greater overall value (ROI) for the organization. At least 5 years of employee communication experience. Prior experience with senior leadership management of employee communication programs, processes, and channels. Exceptional written and verbal communication skills that can effectively engage employees and help them understand and foster the organization’s culture, goals and strategies. Strong project management and problem-solving skills. Ability to multi-task and keep numerous projects on track and on budget. Ability to measure and report on the effectiveness of the employee communication programs and its value to the company’s goals and strategic initiatives. Bilingual. Italian and English preferred. Ability to manage highly confidential information professionally. Models and encourages the expression of diverse ideas and opinions. Engages input from others constantly and listens with empathy and concern. Models high standards of honesty and integrity. Our ideal Inbound Sales Business Development Representative is a fantastic listener, critical thinker, team player, and results driven. As the first point of contact for our customers, the ideal candidate must be able to quickly and efficiently sort through a volume of Inbound enquiries to determine which enquiries fit the Docebo ideal customer profile while delivering an awesome customer experience. Once you have reached out, the ideal candidate will use their exemplary listening and questioning skills to understand the prospect's goals and to explain how Docebo can enable them to achieve them. This role is an education into the world of SaaS sales, and great representative should expect to grow into the external facing sales role within 24 months. Thrive on change while remaining highly organised, optimistic, and coachable. Able to work and travel with no restrictions within the EU. The ability to fluently write and speak more than one European language. Italian, Spanish, French and German etc. (other languages also desirable). As a Sales Enablement Specialist, you are required to provide training internal support, resources, and guidance for Docebo’s global sales team. This includes implementing and managing innovative learning and delivery programs to enable our Sales team to provide best in class prospect and customer experiences, as well as creative and engaging communications of critical business content such a new products, services, and tools. This role requires an individual who is able to work in a team environment, be self-motivated, extremely communication-oriented with demonstrated sales and training experience. This is a new position for Docebo so if you are looking for the opportunity to make a lasting impact on a growing organization then this might just be for you! Excellent time management and focus on productivity. As Software Quality Assurance Specialist, you will support Docebo in product audits and management reviews process. This also include to make sure that product complaints are managed and corrective actions are held appropriately. Experience in performance testing with relevant tools like load impact, IBM RPT. 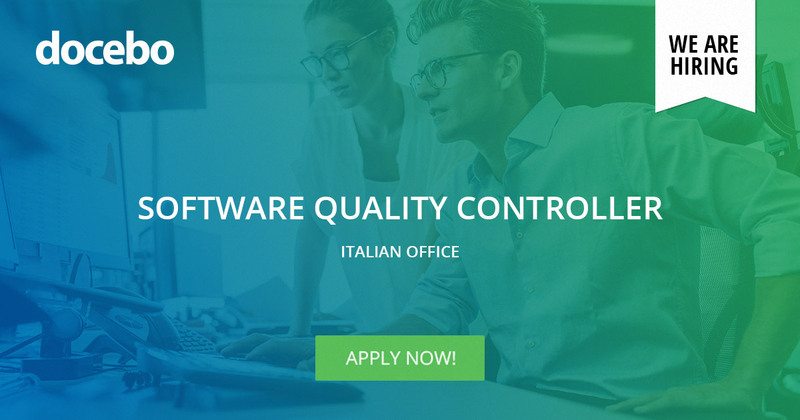 As Software Quality Controller, you will support Docebo in quality assurance of software development and deployment. This also includes to make sure that product tests are managed and corrective actions are held appropriately. 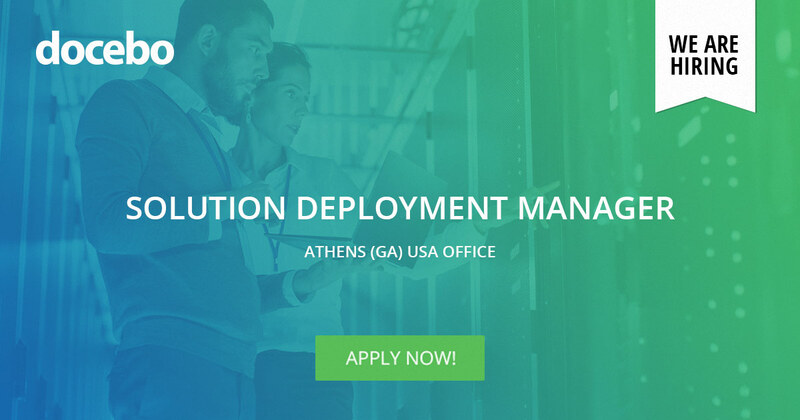 The Solution Deployment Manager sits on the Global Customer Success team and is responsible for managing the on-boarding Phase for multiple Enterprise customers. Solution Deployment Manager leverages skills in Project Management, Business Analysis, to ensure that Enterprise customer are quickly and successfully on-boarded to the Docebo platform. You will work closely with Help Desk Specialists and Customer Success Managers to ensure Docebo customers receive amazing support in every phase of their journey with Docebo. Docebo is a high-energy work environment so you need to be able to keep up with the fast pace and the demanding work, and have no problem with multi-tasking. If these three things scare you, it’s not going to work out. Manage ongoing implementation, project documentation, and ensure projects and teams stay within utilization and budget targets. 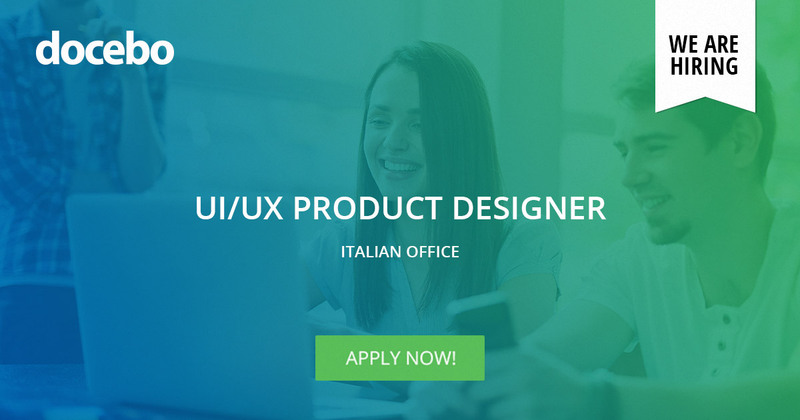 As a UI/UX Product Designer, you will be dedicated to creating innovative, great-looking Docebo products that people love to use with the support of the Lead Product Designers. We are highly user-focused and deeply believe in user-centred innovation. The role demands great execution, obsession with quality, the ability to solve difficult challenges creatively, (while keeping the user in mind) and enough ambition and follow-through to take projects from start to finish. We are looking for a talented Product Designer who knows how to transform the functional requirements of the system in an eye-catching and intuitive way. Modern design and user-centric innovation are Docebo distinguishing factors, setting our platform apart in the international E-Learning panorama. That's why finding a talented Product Designer is a vital and essential step for us. 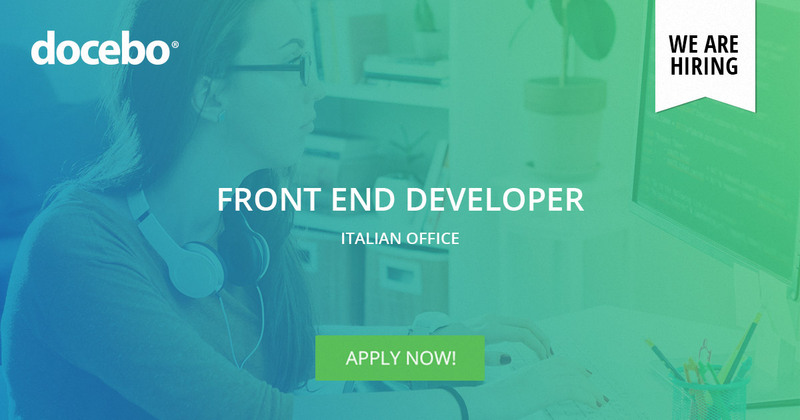 Knowledge of HTML & CSS is highly appreciated (the role does not include code writing, however this competence will help to understand the entire flow of our system or any possible limit that could be a barrier for the frontend development). A portfolio featuring examples of design works is REQUIRED. We are looking for a highly motivated and high-performing team player to join our sales team as an Account Executive. Our Account Executives take qualified leads from our BDR team and continue qualifying them while leveraging demos of our product in working to close the deal. The ideal candidate will blend strategic thinking, sales experience, and experience with complex sales processes and/or products with an entrepreneurial mindset. Maintain and possibly exceed an agreed expected volume of revenue per year. Manage all aspects of leads management within the Docebo CRM and to keep it organized and updated timely. You have strong written and verbal communication skills when dealing with different stakeholders, from line managers to C-levels. Our ideal candidate is an experienced SaaS, Strategic Alliance Professional who has a proven track record of evaluating, hunting, enabling and managing OEM (white-label) Technology and System Integration partnerships in a high-growth environment. We are looking for someone who has a background in Human Capital Management (HCM) and/or Learning Management and is hungry for an opportunity where they can help develop and shape our partner programs and have the potential to lead a team of their own in the future. Docebo is a cloud e-learning solutions provider that is revolutionizing the online training market with its Software as a Service (SaaS) Learning Management System (LMS). Docebo's LMS is the industry's most comprehensive solution for training management, chosen by some of the world's most respected companies to achieve operational efficiency. Designed as a true software as a service, cloud-based platform, Docebo is not just an e-learning tool but is specially designed to be delivered in SaaS as an ecosystem of features and modules that can be adapted to any requirement. Culture is incredibly important at Docebo. Docebo encourages the team to work effectively together, but also have fun together! Focus on OEM, large-scale VARs, and System Integrators. Define segmentation, geographies, messaging, ideal partner profiles, and lead-gen strategies. Build, manage. and report on the funnel of global Strategic Alliance Partners. Support the entire lifecycle of the partnership agreement - discovery, demo, business case/financials, product/technical, joint-marketing, negotiation, contracts. Build strong relationships across partners’ organization - build executive sponsorship of Docebo and strong working relationships with key sales, marketing, product, implementation and customer success teams. Work collaboratively with other Docebo Teams to onboard and support partners. Work closely with major existing and new partners to drive new business and retain existing (client) customers. Plan and participate with partner sales teams on events, demos, and joint sales with customers. Upskill partner sales teams on Docebo’s offering (solution, partner offerings, and key new features). Be the “voice of the partner” inside Docebo and advocate on their behalf. Support VP, Strategic Alliances with evaluation of financial, operational, functional aspects of potential integration partners. Work closely with Docebo sales, marketing, and product teams to identify partnership needs. Support Docebo sales, marketing, and product teams with onboarding and launching new partnerships. A proven track record of managing large strategic alliances and consistent overachievement of quota and revenue goals. 5+ years of Strategic Alliances experience (or similar roles involving solution selling in a Cloud or SaaS B2B company). 3+ years of HCM and/or Learning Technology experience. Ability to sell into any level of the partner organization (front-line to C-suite). Experience in managing a ‘marketplace/ecosystem’ of integration partners. Technical aptitude and eagerness to learn and stay up to date with Docebo innovation cycles. International mindset and cross-cultural experience (worked and closed deals in international companies/roles). Hunter mentality and enjoy the challenge of winning new partners. Ability to manage strong personalities and conflict. Thrive in a fast-paced environment with change, ambiguity, pressure. Positive mindset, and are process and numbers-driven. If you are looking for a place where you can build something greater than yourself alongside some of the most talented and dynamic people you’ve ever worked with, Docebo might just be the place for you. Plus, there is the potential for international travel to our offices in Athens, GA, London, and Milan, Italy! 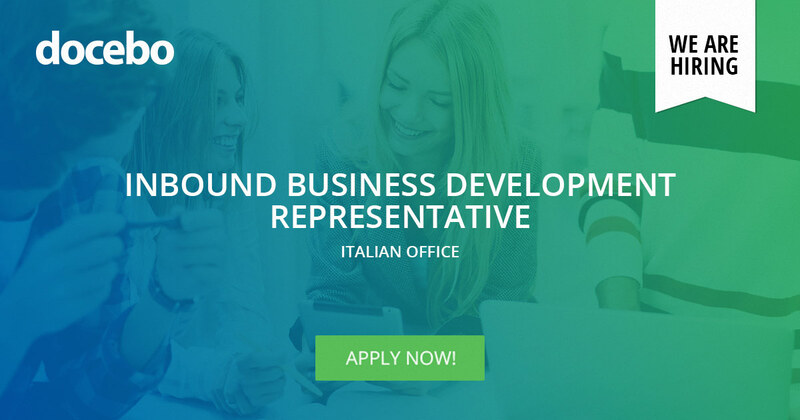 The position is responsible for generating leads that will support Docebo Sales team through the identification and qualification of new sales opportunities with potential prospects and customers. 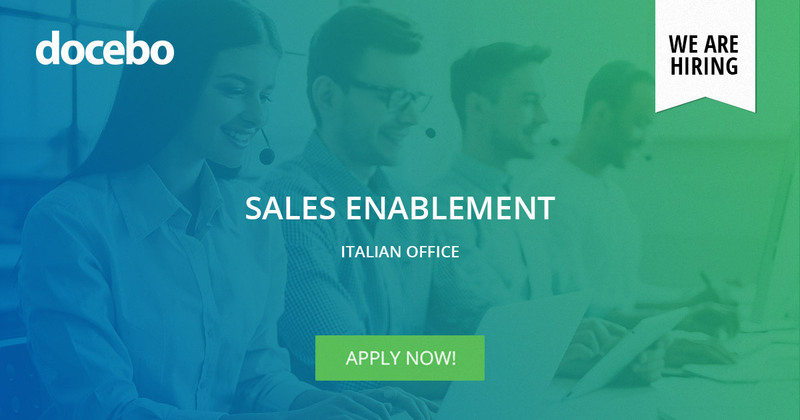 As a Sales Enablement Specialist, you are required to provide training internal support, resources, and guidance for Docebo’s global sales team.. This includes implementing and managing innovative learning and delivery programs to enable our Sales team to provide best in class prospect and customer experiences, as well as creative and engaging communications of critical business content such a new products, services, and tools. This role requires an individual who is able to work in a team environment, be self-motivated, extremely communication-oriented with demonstrated sales and training experience . This is a new position for Docebo so if you are looking for the opportunity to make a lasting impact on a growing organization then this might just be for you! Share best practices with team members to enhance the quality and efficiency of support and contribute to the knowledge base working closely with the Sales Operations team. Assist with construction and maintenance of sales resources library and online training academy. Continuously innovate on all aspects of enablement including programs, delivery, adoption, and reporting. University Degree in Business Management or Information Technology.